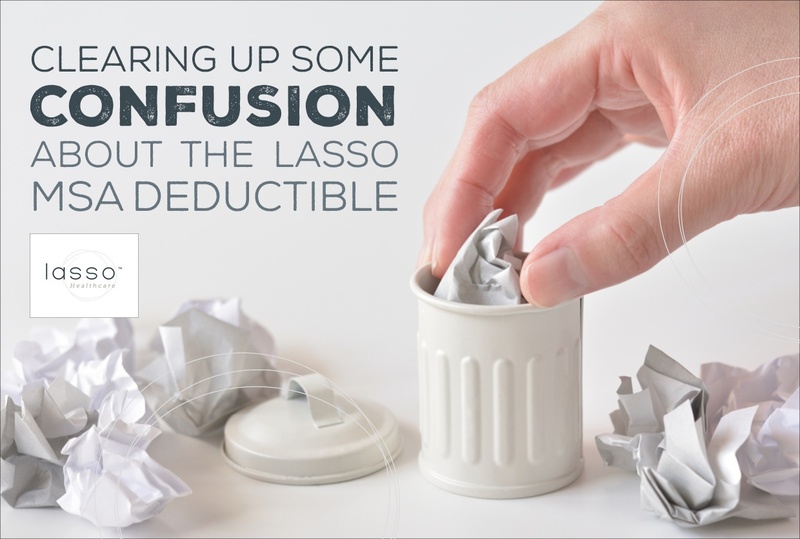 Now that we've had several weeks to learn about and present the new Lasso Healthcare MSA product, we've noticed a common source of confusion for both clients and agents: the deductible. Who pays? Medicare? Lasso? The Patient? What about the 80/20 Medicare split? What about the Medicare-approved amounts? What ultimately gets applied to the deductible? So many questions! But we have answers and examples galore. Once you have these examples under your belt, we'll explain a bit further about how Medicare and the MSA work together. → Need a quick refresher on how the Lasso Healthcare MSA works? Get all the answers in this guide. Let's say you go to the doctor's office for a checkup. That doctor charges $200 for an office visit, but in 2019, the Medicare-approved amount for a basic office visit is $109.44. Would a patient that has the Lasso MSA be paying the entire $109.44 using their MSA debit card, OR would Medicare pay the first 80% ($87.55), and the patient is responsible for the remaining 20% ($21.89)? The short answer is this: a patient on the Lasso MSA would be responsible for paying the entire Medicare-approved amount, or $109.44 for a typical office visit. You do not have the pay the retail cost for medical services. So in our example, they would not have to pay the full $200 for that office visit. When you're enrolled in the Lasso MSA, you can only be charged the Medicare-approved amount. That $109.44 that you paid for that office visit can come out of your medical savings account, and it would be applied to your deductible. If your deductible is met, Lasso Healthcare pays 100%. 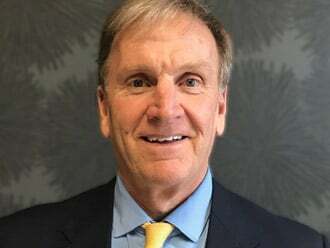 If you decide to see a doctor who does not participate in Medicare, like a doctor at the Mayo clinic, you could be charged more, but that maximum cost is also outlined in the Physician Fee Schedule. Using our same office visit example, you could be charged up to $119.56 for that office visit. Let's say you need a diagnostic colonoscopy. That doctor charges $650 for it, but in 2019, the Medicare-approved amount for that colonoscopy in your doctor's office is $324.72. The patient would not pay the $650. They would pay the Medicare-approved amount, which is $324.72 for a colonoscopy. If you decide to see a doctor who does not participate in Medicare, you could be charged up to $354.75 for the colonoscopy. That $354.75 that you paid can come out of your medical savings account, and it would be applied to your deductible. If your deductible is met, Lasso Healthcare pays 100%. Let's say you need cataract surgery, and it's considered "complex" in the medical world. That doctor charges $3,000 for the surgery, but in 2019, the Medicare-approved amount for that cataract surgery is $815.39. The patient would not pay the $3,000. They would pay the Medicare-approved amount, which is $815.39 for a complex cataract surgery. That $815.39 that you paid can come out of your medical savings account, and it would be applied to your deductible. If your deductible is met, Lasso Healthcare pays 100%. The Medicare PFS does not actually include the surgery cost for a doctor that doesn't accept Medicare – we're not sure why. If this example happens to apply to your client, have them call the billing office to confirm the cost if needed. It happens – sometimes the joints give up on us. If you have the Lasso MSA, here's what a total hip replacement would cost you. Let's say the doctor who does the hip replacement charges $8,000 for the procedure. In 2019, the Medicare-approved amount for that total hip replacement is $1,409.74. The patient would not pay the $8,000. They would pay the Medicare-approved amount, which is $1,409.74 for a total hip replacement. That $1.409.74 that you paid can come out of your medical savings account, and it would be applied to your deductible. If your deductible is met, Lasso Healthcare pays 100%. The Medicare PFS also does not include the surgery cost for a doctor that doesn't accept Medicare – we're not sure why. If this example happens to apply to your client, have them call the billing office to confirm the cost if needed. Now that you've seen several examples of common medical needs, you probably get the idea. When you have the MSA, you can see any doctor that accepts Medicare, which means you get access to those discounted Medicare rates. However, Medicare doesn't pay anything when you have the MSA. They've already contributed that $2,520 deposit – they aren't going to pay anything more than that. We get it – the MSA is a brand new concept, and it can be difficult to separate it from Original Medicare. With the MSA, Medicare does not pay their usual 80%. There is no supplement to pick up the remaining 20%. You have to throw that idea out the window here. The Lasso MSA consists of the deposit and the deductible. Encounters with your healthcare team operate the same under Lasso Healthcare MSA as they would under any Medicare Advantage plan with a deductible. Once the medical service is re-priced based on Medicare's approved rates (remember all our previous examples), Lasso Healthcare checks your progress towards your deductible to determine if you pay the claim or if Lasso Healthcare pays. If you haven't met your deductible yet, you pay. If you have, Lasso pays 100% of all medical expenses that fall under the Medicare Parts A and B eligible services. That means if your client needs hearing aids (which are not covered under Medicare Parts A or B), it wouldn't go toward the deductible, and Lasso would not pay for it. They could use their $2,520 deposit for it, though. Regardless of how the claim ends up paid, Lasso Healthcare will send you an Explanation of Benefits (EOB) showing you how the claim was re-priced, your progress towards your deductible, and if Lasso Healthcare paid the claim or if the claim is your responsibility. Not contracted with Lasso yet?